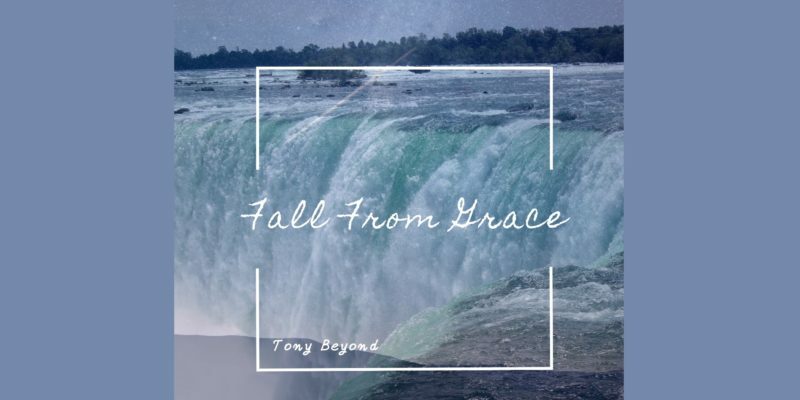 Artist and songwriter Tony Beyond has released a visual preview of his upcoming EP entitled Fall From Grace. The project is due for release next month, offering five original tracks that introduce Beyond as a deep thinking creative with a somewhat spontaneous, free-style approach to making music. Totally Flawless (Feat. Paul Wap) kicks things off with a light beat, a gentle trip hop aura – upon which the varied sections of the melody can flow through with an equal calmness. Mixed in among this are a string of lyrics that pour through in a seemingly uninhibited fashion – different melodies, moments of rap – you get a sense that this is absolute honesty, unapologetic and unedited. A similar style continues throughout the EP. Paradox follows and brings through a dash of rhythmic hip hop to help keep things moving along. The soundscape fits the mood from before, a gentle beat with a few optimistic synths lingering in the outer edges. This feels like classic good vibes, the sort of project you can turn up and escape the day into – or that you can utilise as the backdrop to whatever it is that you need to get done. The whole collection offers openness, realness, and hints of struggle – interwoven with colourful, hopeful ambiances. The weight of certain concepts is softened by the easy-going nature of the music and the melodies, and that makes it all the more simple to connect with, to feel calmed by the understanding the EP offers. Identity Crisis takes on a deeper thought process, the ambiance suits this journey well – the vocal too, there’s an intimate softness here, the whole thing feels like something of a personal diary entry. 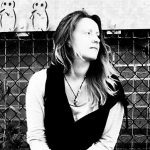 That honesty is invaluable, the sort of revealing expression of vulnerability that music fans often crave and cling to when times get hard. The track develops well too, evolving to become more intense and harder hitting, later leading with confidence and a stronger sense of rhythm. The poetry is beautiful and the inspiring, motivational nature of many of the lyrics stays with you long after listening. Despite the distant, reverb-soaked aura of much of the EP, there are more than a few lyrics that really stop you in your tracks in a powerful way. Venting introduces undoubtedly one of the most memorable moments on the project. Feeling a little more contemporary, perhaps Post Malone-like in nature, the groove of the track and the vocal is quickly entrancing. At the same time, while the music and the flow of the words hypnotize, more of these deeply thoughtful, deeply human, relatable and beautiful lyrics reach out and connect in a profound way. The EP’s title track brings things to a finish with a slightly grittier vocal vibe and a soundscape loaded with distant voices – giving off a choir-like mood, still rooted in classic hip hop but introducing a hint of alternative creativity and influence that works well to add eclecticism at the final hurdle. This closing track lays bare the underlying sentiments of the whole playlist. There’s an air of self-reflection, tied in with a perspective that tries hard to consider the bigger picture. It’s ultimately very real, poignant regarding many of the issues that come up, but also laid-back enough in terms of the energy and the production that you’re not overwhelmed by anything discussed within. Tony Beyond has let the creative muse run free with this collection, and this is why it seems so genuine – refreshingly heartfelt yet still in tune with what works and what sounds good or satisfying musically. Find & follow Tony Beyond on Twitter & Instagram.